Imagine this scenario: You to go to use your kitchen sink and, it’s clogged. You try running the garbage disposal, thinking maybe something is stuck at the surface. The garbage disposal works, but the water isn’t draining out. This means you have a clog. You try using a plunger to relieve it, but to no avail. You might imagine that the next best course of action is to grab that bottle of store-bought chemical drain cleaner you purchased the last time this happened. We really urge you not to though. Rather, give us a call for professional drain cleaning in Englewood, NJ. WHAT CAUSES LOW HEAT LEVELS IN A FURNACE? Most homes in Englewood, NJ and surrounding cities use forced-air furnaces for their heat. The air is warmed in the furnace itself, and then distributed through your home via the same system of ducts that carries cool air from your AC in the summer. It’s a simple and effective system, but like any other piece of technology, it can run into trouble from time to time. Posted in Heating | Comments Off on WHAT CAUSES LOW HEAT LEVELS IN A FURNACE? 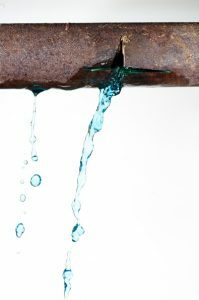 Plumbing leaks are not uncommon, especially in older homes with older pipes, of which Englewood, NJ has plenty. 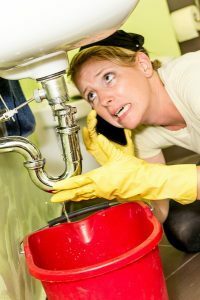 In and of themselves, they’re not particularly troublesome and once you detect them, a trained plumber can usually repair the damage or replace the affected pipe very quickly. The problem comes when you don’t move swiftly enough, either because the leak has been hidden or because it’s subtle enough not to be noticed at first. Water damage gets worse the longer the leak goes unaddressed, and in the most dire cases can cause extensive damage to your home. The moment you realize you have a leak, you can take several specific steps to help curtail that damage. 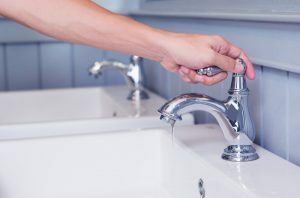 Englewood, NJ sees its share of plumbing problems every year, and spring seems to be when they arrive the most often. Homeowners are getting their first look at the wear and tear inflicted by winter, and when problems arise, they tend to do so at this time of year. Enterprising do-it-yourselfers may be tempted to conduct plumbing repairs themselves, but we usually recommend against it. 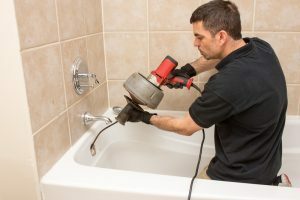 Even the most benign problems benefit from the professional touch, and there are factors involved that make it more cost effective to let a licensed plumber take care of it. Here’s a few reasons why you should never attempt plumbing repairs yourself.